Dole Packaged Foods is a world leader in growing, sourcing and distributing frozen fruit, dried fruit and juices. Dole wanted to educate consumers on the quality of Dole Packaged Foods and increase brand awareness during the busy holiday entertaining season. 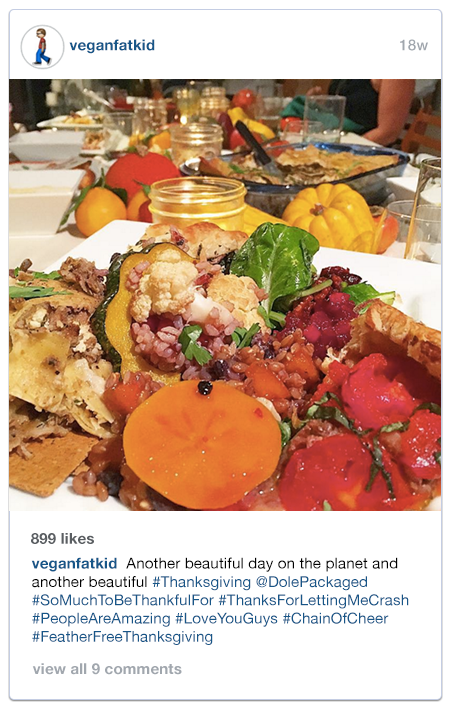 Our holiday-themed campaign featured seven of our most popular foodie influencers, from moms and vegan food lovers to well-known food photographers and content creators. 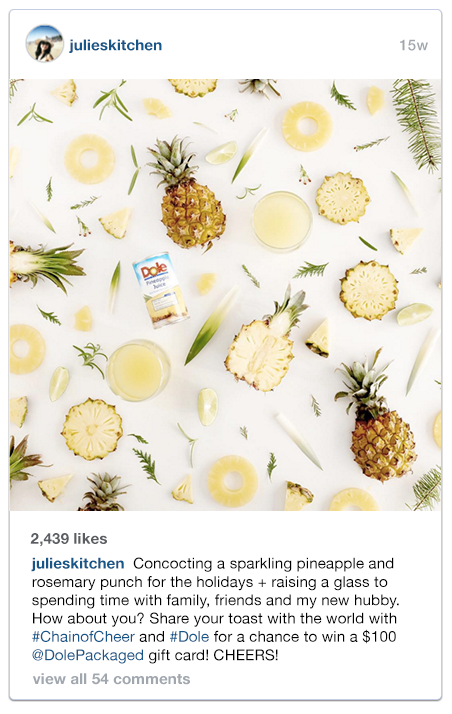 Each influencer created their own original recipe using Dole Packaged Foods products and shared it across their social channels. 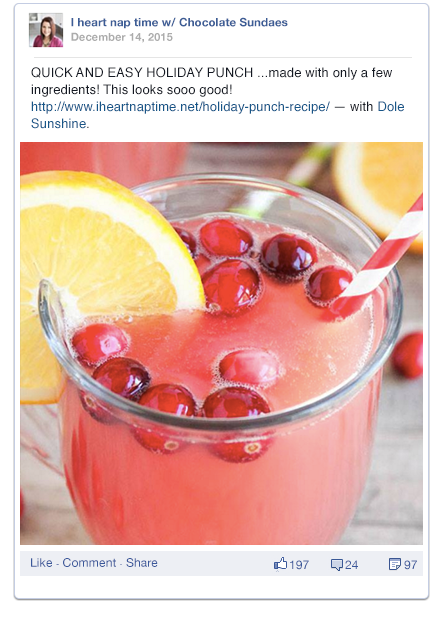 The influencers inspired fans with an array of simple but delicious recipes, making it easy for them to include Dole in their own holiday celebration. The Holiday push garnered dozens of original content created by the influencers. With a CPE (Cost per Engagement) of $.67, it easily matched the benchmarks of optimized Facebook buys. Pinterest, which is well-known as a hub for finding recipe gems, was a key driver in this campaign with over 2MM views. With a reach over 4.5MM it was no surprise that the campaign reached fans and created a buzz around the delicious creativity behind Dole packaged goods.